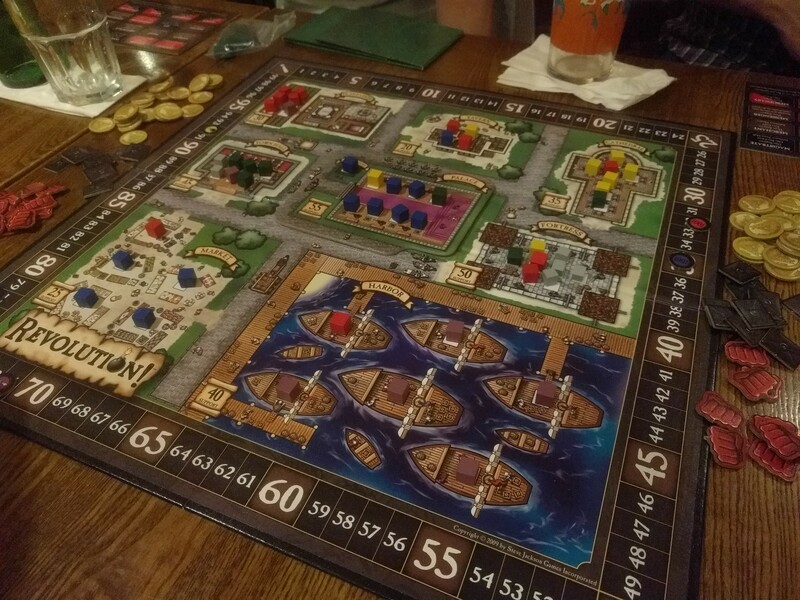 We started the evening with Revolution!, including the Palace expansion to bring it up to six players. As usual, I was reminded that I ought to play this more often, even though I seem to do much worse now than when I started playing ten years ago. 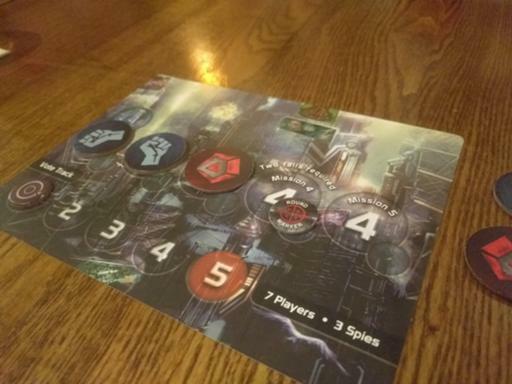 I got out The Resistance next, using just the Commander/Assassin module (we don't play this often, so an excessive rules burden isn't helpful). A good start, but a spy win on missions. 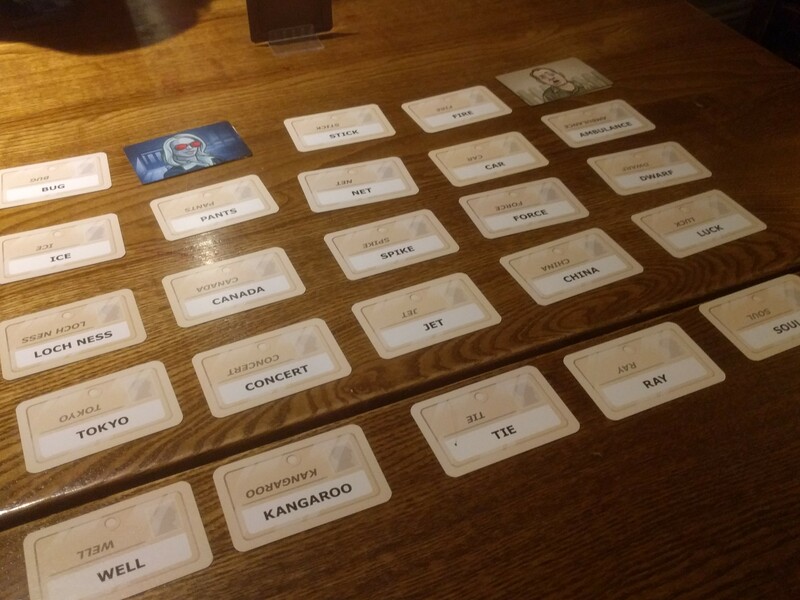 We moved on to a couple of games of Codenames – this will still never be a favourite but it's an interesting exercise, and oddly more intense than The Resistance. 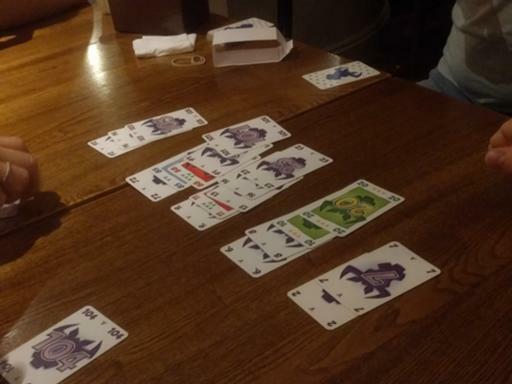 Finally, a round of 6 Nimmt as the pub started to close. Still a game I'll play at pretty much any time. [Buy Revolution! 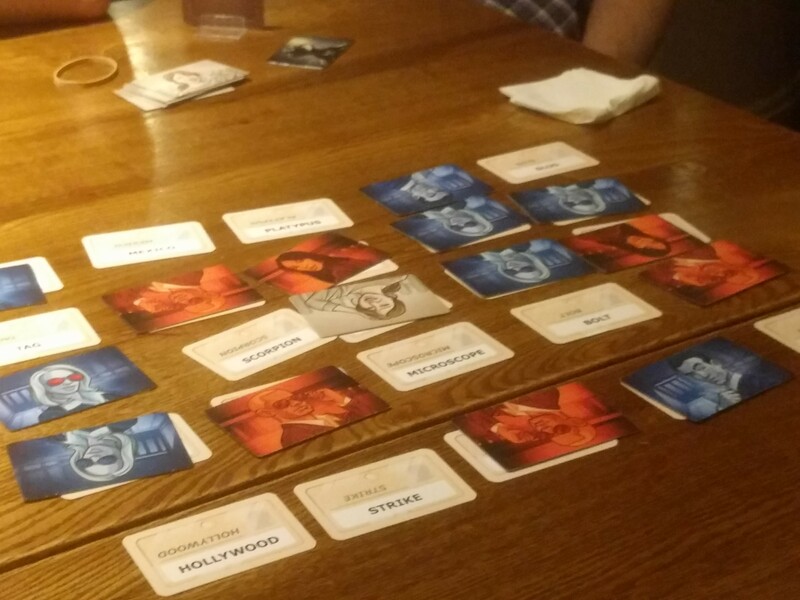 at Amazon] [Buy The Resistance at Amazon] [Buy Codenames at Amazon] [Buy 6 Nimmt! at Amazon] and help support the blog.